Incentive travel specialist Simone Godfrey and financial administrative expert René Lanfear, who interestingly both have economics-based degrees, started The Cycle of Life™ Travel business in 2015 after connecting through their combined fundraising efforts for rhino conservation in The Cape Town Cycle Tour. Simone was born in Germany and moved to South Africa in 1997, after completing her schooling and a degree in Economics in Tourism in Germany. Her travel-friendly family and various exchange programmes enhanced her language skills (English, French and Spanish) and ignited a love of adventure and exploring different destinations all over the world. Her first job at Lufthansa in product development, allowed her to combine her work and passion for travelling. 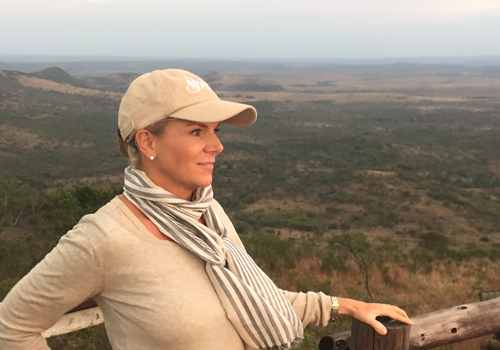 In 1994 she began to work in Cape Town for an incoming tour operator and this launched her on her journey, travelling extensively through Southern Africa, executing incentive tours, corporate conferences and events for well-known international companies. She married a South African and made SA her home. Their two SA born children were introduced to the bush from an early age and her whole family developed a deep desire to conserve wildlife. Through various fundraising drives she became aware just how much was needed to support existing conservation efforts. Her love of rhinos grew and their desperate plight moved her to sign up for the 109km Cape Town Cycle Tour (an annual event in Cape Town in March) – one of the largest cycling events in the world. She launched a fundraising drive with René and close friend Faye Elliott and The Cycle of Life™ Charity was born! Simone soon realised that there was an international market in need of a local, professional tour company combining sport activities and unusual adventures, whilst supporting conservation projects and promptly launched The Cycle of Life™ Travel business. René was born and raised in Port Elizabeth and graduated there with a B.Com degree in Business Economics and Industrial Psychology. From there she moved to Cape Town and joined Standard Bank and over the next 17 years she worked in the corporate sector, had children and took on a small property management portfolio which still enabled her to spend time with her family. 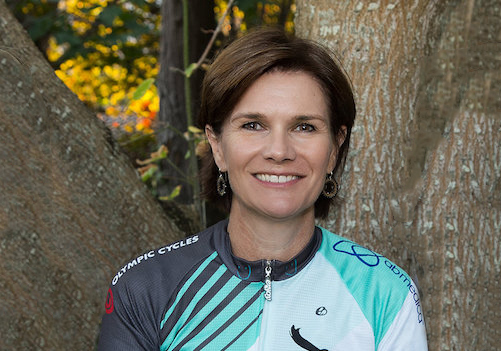 She has always been a passionate philanthropist and helps raise funds for a halfway house for abandoned children near Cape Town as well as cycling in the Cape Town Cycle Tour to raise funds for rhino projects in Kwa-Zulu Natal. With her strong financial and negotiating skills she plays an active role in co-ordinating clients, contractors and suppliers for The Cycle of Life™ Travel and her attention to detail and perfection makes her the ideal person to oversee the compilation of unique travel itineraries. She loves working as a team with both the client and suppliers, visiting the various venues and travelling with or hosting groups. With her strong financial and negotiating skills she plays an active role in co-ordinating clients, contractors and suppliers for The Cycle of Life Travel and her attention to detail and perfection makes her the ideal person to oversee the compilation of unique travel itineraries.